The goal of Irish Studies is to understand the historical and cultural development of the Irish people through their languages, literature, and social institutions. Irish Studies aims to assess the contribution of Irish culture and to explain the complex relationship between Irish culture and history. The oldest vernacular literature in Europe is in the Irish language, and the contribution of the Irish to literature in the English language has been considerable. As the first British colony to gain independence in the twentieth century, Ireland can be compared to other postcolonial nations. The complex cultural and politicial relations between Ireland and England, as well as Europe, Africa, and Asia, are all concerns of Irish Studies, pursued in a larger comparative framework. The experience of the emigrant diaspora all over the world, particularly in the United States, also forms a major focus of Irish Studies courses in history, literature and sociology. Why minor in Irish Studies? Irish Studies is intended for all students interested in the study of the rich and varied cultures of Ireland. Irish Studies may also have special interest for those students of Irish background for whom it will provide a new or renewed awareness of their place--historical and contemporary--in a pluralistic society. 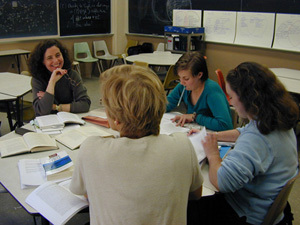 For students majoring in English, Comparative Literature, History or Political Science, the Minor in Irish Studies provides a way for students to do intensive study in Irish culture- including the Irish language, Anglo-Irish literature, archaeology, film studies, and history. Students interested in an interdisciplinary major in Irish Studies (through Interdisciplinary and Special Studies) should consult with the Director of Interdisciplinary and Special Studies and the Director of Irish Studies.